Ocean warming and ocean acidification negatively impact on all marine life by limiting growth and survival. Global sea surface temperatures have risen by 0.7°C from the end of the 19th century and are predicted to rise to 3.1°C by 2100. The pH of the ocean varies with sea temperature as it is dependent on the amount of atmospheric carbon dioxide. The ocean has become 30% more acidic since pre-industrial times and is predicted to increase in acidity with increased greenhouse gas emissions. The impact for marine fish is that warmer sea water carries less oxygen and warmer water expands the low-oxygen zones in coastal areas. Acidic ocean environments hinder fish because it limits their ability to calcify bones (e.g. jaws) during development and it also raises the metabolic cost of life and thus, the amount of gases that need to be transported across the gills. Unfortunately, we have limited knowledge of the effects of warm acidic conditions on valued fish species. Consequently, there is a need to investigate the synergistic impact of ocean warming and acidification on marine fish development and estimate the ecological and economical costs on wild fish populations (fisheries) and marine fish farming (aquaculture). Fish is a vital human food source that provides essential nutrients and is critical to global food security. Approximately 90% the global aquaculture production is concentrated in the Asia-Pacific region, with the top producers being China, India and Indonesia. Fish farming in developing countries provides domestic food security and supports rural livelihoods with the production of high value fish destined for export. According to the UN, more than 3 billion people depend on marine and coastal biodiversity for their livelihoods. The far-reaching impacts of ocean warming and acidification must be considered in the context of the sustainable capture of wild fish and aquaculture production in marine environments. Further consideration is needed to assess the impact on gill health due to larger and more frequent phytoplankton and zooplankton blooms in coastal areas. The variable influx of freshwater to marine estuaries due to volatile rain patterns, ocean warming and increased carbon dioxide in the oceans promotes algal blooms which are harmful to both fish and humans. The developmental effects of rising temperature and ocean acidification (climate change), therefore needs to be understood. 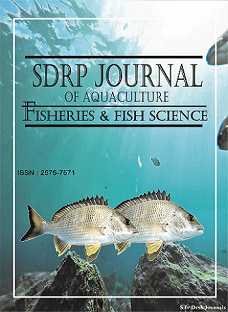 The objective of this Research Topic is to bring together a series of articles focused on the early development of marine fish with a particular focus on gill health and function in response to climate change due to their critical role in gas and ion exchange. All submissions relating to the Topic are welcome and the Research Topic will highlight reviews from the 2018 Gill Health Symposium for Marine Fish (http://sydney.edu.au/science/life-environment/research/gill-health-symposium.shtml).